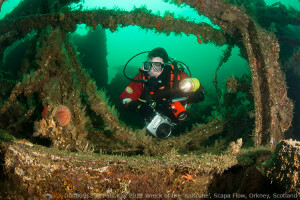 I supply the Seacam Silver underwater photographic system in the UK and Ireland. Both myself and my wife also use Seacam equipment and the vast majority of underwater photographs on the website are shot using it. If you are considering using Seacam equipment then firstly take a look at Seacam’s own website is very informative where you will find a vast amount of information including recommended ports for each lens. I am always happy to answer any queries and supply prices. At the moment (June 2015) the Euro is low so its a very good time to buy Seacam equipment – I match prices to the Euro so they fluctuate as I want to ensure that my customers are given the best prices I can manage.